Home › News and Reviews › When will your brakes fail? Signs that your brakes need replacing. When will your brakes fail? Signs that your brakes need replacing. When we talk of safety features in modern cars, cutting edge technology takes the lime light these days. Emergency autonomous braking systems, lane keep assistance, radar guided cruise control and ever increasing air bag counts are at the forefront. But the best way to survive a crash is to avoid it in the first place and in the majority of cases your primary line of defence is your brakes. Every new car and the vast majority of used cars on the market these days come with ABS, power assistance, electronic brake force distribution and an array of other driver aids so you might assume that you can stomp on that pedal with all your might and all will be ok. Not so. Just like your car tyres, engine and even air-conditioning system, your brakes require a bit of attention to keep them performing at their best and that can mean the difference between a near miss and a dangerous disaster. So what can go wrong with a braking system? 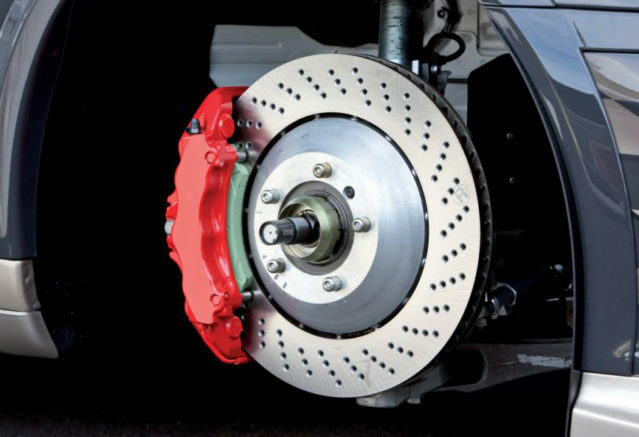 Brakes work by the brake pads being clamped down on to the brake disk which is effectively bolted to the wheels, thus slowing the car by producing a high amount of friction and resistance to the rotating wheels. With high friction comes very high heat, and heat is the partner of deterioration and destruction. This is where wear and tear enters the equation and your brakes start losing their effectiveness. 1. Worn out brake pads: The obvious and most common issue with brakes. It is inevitable that your brake pads will wear out at some point in time. Each time your car is serviced or inspected, ask for a report on how much life your brake pads have left in them. It’s suggested that you replace them once you reach around 30% remaining. If you happen to wear your pads out, you will experience drastically decreased braking performance which will put you, your passengers and anyone else nearby in danger. 2. 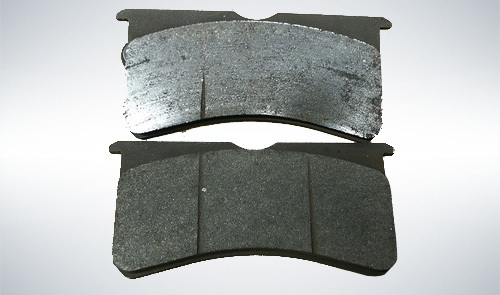 Glazed brake pads: If you have made a number of high speed stops, stayed on the brakes for a long period of time coming down a hill, or if you have a habit of riding your brakes while driving, your brakes will become extremely hot and glaze the brake pads. When brake pads become glazed, the surface that rubs against the brake disk and creates the friction that is supposed to slow you down becomes smooth, and therefor does not produce enough friction to slow the car down. This means and longer braking distances, and less chances of avoiding that car that pulled out in front of you or the kangaroo you REALLY don’t want to hit. Your brakes may often become squeaky or squeal if they have become glazed. 3. Another unexpected cause of brake pad glazing can be frequent activation of traction control. Many traction control systems work by applying the brakes to individual wheels to stop wheel spin, only allowing the wheels with grip to rotate. If you are in a low traction environment such as loose sand or mud, the traction control system can go into overtime to stop the very wheel slippage you require to get out of there. Remember to deactivate your traction control or switch it to an appropriate mode when getting out of loose terrain. 4. Warped brake rotors: Another victim of high heat are the brake rotors or disks. We all know that when hot enough, metal will deform or melt. The same thing happens to your brake rotors and often goes hand in hand with glazed brake pads. If your brakes experience extreme heat, the normally flat surface of the brake rotor can become uneven. You may notice a slight shudder or wobble through the steering wheel if this occurs on the front wheels in particular. An uneven braking surface means a consistently strong force cannot be applied to the braking surface, again resulting in decreased braking performance and more chance of not stopping in time. Are your brakes making odd noises, causing your car to shake or vibrate, or just not pulling the car up the way they used to? It may just be time to replace them. Book your brake service today with John Hughes Service and make your car safe again.